These beautiful Christian crosses come with your favorite protectors or patron. 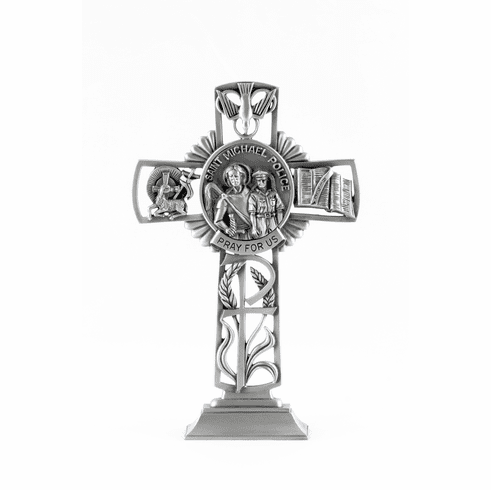 The Bethany Collection standing crosses are hand crafted in solid fine pewter from Jeweled Cross. We sell a large selection of quality religious gifts for all special occasions and all your memorable moments such as; anniversaries, birthdays, baptisms, christenings, weddings, graduations, military, memorial, retirement, housewarming, expectant mothers, personalized, Communion, Confirmation, RCIA, baby and much more.